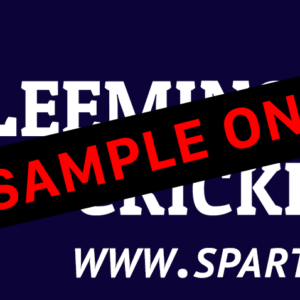 The Leeming Spartan Cricket Club’s logo is our most invaluable marketing tool, as it is the first visual encountered by the public. As such, we wish to promote the logo and Spartan brand as heavily as possible, but in order to protect the integrity of the Leeming Spartan Cricket Club (Inc.), we must provide restrictions as to how the logo is used and who can use it. We provide a direct download link for our logo, however, it is important that it be only used for personal purposes unless express written permission from the Club is provided. We prevent the use of our logo for commercial or promotional purposes that do not have previous approval from the Club, and as such the logo is a registered copyright of the Leeming Spartan Cricket Club (Inc.), ABN 24 114 269 534. 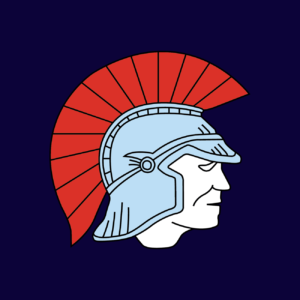 The Leeming Spartan Cricket Club (Inc.) logo refers to both the logo (in any colour variant) and the icon (the ‘Spartan head’), and the colour and typography of the text used in the logo, which has been custom designed for use by the Leeming Spartan Cricket Club (Inc.). The Leeming Spartan Cricket Club (Inc.) logo is a registered copyright of the Leeming Spartan Cricket Club (Inc.) (ABN 24 114 629 534) and is therefore not to be used without express written permission from the Leeming Spartan Cricket Club (Inc.). Leeming Spartan Cricket Club (Inc.) allows for use of the Leeming Spartan Cricket Club (Inc.) logo and Leeming Spartan Cricket Club (Inc.) icon for non-commercial purposes only and provides a direct download link for the logo, however, modification of the logo in any form is strictly prohibited. The Leeming Spartan Cricket Club (Inc.) permits personal use only of the Leeming Spartan Cricket Club (Inc.)’s logo and icon, and as such is never to be used for commercial purposes without express written permission from the Club. All Leeming Spartan Cricket Club (Inc.) sponsor logos are registered trademarks of the associated company and are therefore not to be used without express written permission of the sponsor and organisation in question. Leeming Spartan Cricket Club (Inc.) has received explicit permission from these organisations to utilise the use of their company logo and icon, and as such can not provide members or others with the capacity to utilise the logo on the sponsor’s behalf. You must therefore seek explicit permission from the business in question to utilise their logo. The Leeming Spartan Cricket Club (Inc.) thanks you for your understanding.